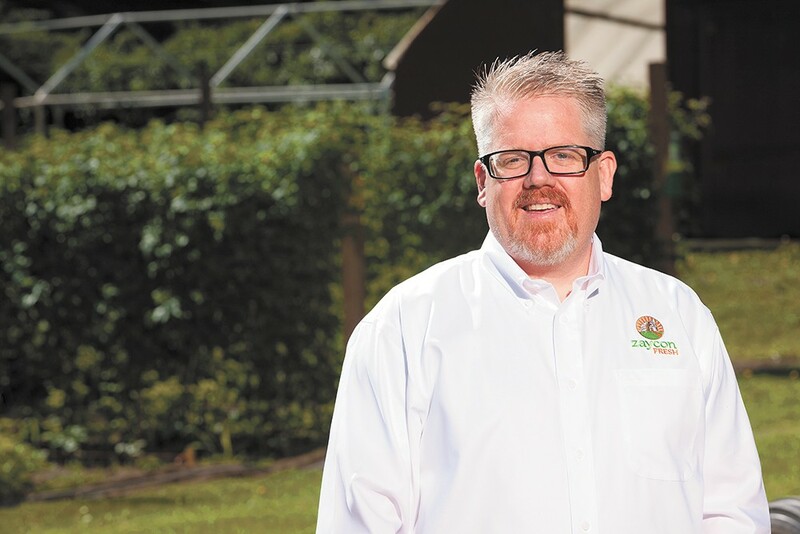 Mike Conrad was on welfare when he, his brother and a cousin founded Zaycon Fresh; five years later, it's a $17 million business. By now, in the startup world, the opening line of a column on the TechCrunch website in March has become famous: "Uber, the world's largest taxi company, owns no vehicles. Facebook, the world's most popular media owner, creates no content. Alibaba, the most valuable retailer, has no inventory," the column begins. "And Airbnb, the world's largest accommodation provider, owns no real estate. Something interesting is happening." In other words, the world's insanely successful smash-success startups haven't been about adding things or inventing things as much as subtracting things. They've been about snipping away all the snarled wires of middlemen and corporate bureaucracy and connecting customers directly — and immediately — to what they want. It's why a Spokane Valley company selling mostly chicken breasts, one that only launched in 2010, has grown into a $17 million business. It's poised to grow even bigger, and fast. Mike Conrad, CEO of Zaycon Fresh, has a small suite in a Spokane Valley office complex near Sullivan Road. But he doesn't have a farm, he doesn't have a big warehouse, and he doesn't have a single chicken in his inventory. That's the key to this whole thing. Here's the simple pitch that has drawn in more than 200,000 customers: Do you want your chicken breasts a lot cheaper? Like, 30 to 50 percent cheaper than what you'd get at Costco? And at the same time, do you want your chicken breasts a lot fresher? Chicken that hasn't sat for months frozen in a warehouse and then weeks on a grocery store shelf? "The price is what brings people in. But really, it's the quality that keeps them. If it's good stuff, people want it," Conrad says. "It's a Mercedes at a Hyundai price." Their secret is simple: Customers pre-order 40-pound boxes of chicken breasts online, so Zaycon knows exactly how many to pick up from Wayne Farms, eliminating the need for inventory. "We have no waste. We have zero waste," Conrad says. "We only buy what we can sell." Then, refrigerated trucks carry the fresh chicken orders to one of more than 1,100 parking lots across the country at a specified time, and the customers come and pick them up themselves. "It goes straight from the farm to the [pickup] event," Conrad says. "Unless you have a chicken coop, you can't get any fresher than that." Customers preorder bulk meats at reduced prices, they pick them up from refrigerated trucks, eliminating storage and spoilage costs. By now, thanks in part to social media, bloggers, word of mouth and a 2012 Good Morning America segment, Zaycon is one of the rare startups to hit it big. Now it's reached that that pivotal, scary stage of a startup. The moment when they try to scale, rocketing the size of their business from $17 million last year to possibly $70 million by the end of this year. And that's just the beginning. The company has expanded to other meats: lean ground beef, bacon, meaty back ribs, salmon. But mostly, the team's strategy is to grow the customer base to 2 million. "The average customer is spending $160 per sale with us," Conrad says. "If I can get that to $400, and I had 2 million customers, that's, like, $800 million in rev. ... To get there, it's just about customers, customers, customers. And to get our name out there." To do that, they're attempting to raise $30 million, mostly for advertising. Much of Zaycon's success thus far has relied on word of mouth. "My husband and I joke it's like a chicken drug deal in the parking lot," says Corrine Strandy, a Zaycon customer since 2012. "When they started, it was a plain white refrigerated truck." For Strandy, the chicken truck has become a regular ritual. "I usually, when get my box, I instantly cook half of it, and cube it and shred it, and put it in the freezer so it's all ready to go," Strandy says. Over the next four to six months, she throws it on spaghetti, whips up chicken pastas, or adds teriyaki sauce or dry rubs and throws pieces on the grill. She's spread the word among the other parents she knows. "As moms, we talk about how to cut corners and how to feed our families," Strandy says. For a family of six, cheaper, fresher chicken was crucial. "I haven't bought chicken at Costco since 2012," Strandy says. But to go beyond word of mouth or social media buzz, the company is relying on the expertise of executive chairman Rick Braddock. "He's taking us to the next level," Conrad says. Braddock has a long résumé. He's the former president of Citibank, former CEO of Priceline.com, and most relevant, the chairman and CEO of New York-based online grocery delivery company FreshDirect. Conrad says Braddock took FreshDirect from a $20 million to a $300 million business in only two years. He's literally betting on Zaycon Fresh. Braddock has invested just under $3 million in the company. "The key thing is to create a higher sense of loyalty," Braddock says. That was the secret at FreshDirect, learning the customer's purchasing habits to make it easy for them to come back time and time again. At Zaycon, Braddock says, giving customers more chances to buy each year generates both more revenue and more loyalty. "If we go to two sales a year, on average, that doubles our business right there," Braddock says. "When you're at four, you have more loyal customers, who are more likely to stay with you ... We think the market could be as many as 40 million households." The bigger the business gets, Conrad says, the easier making the business bigger gets. "The more people we have — we just get larger trucks," Conrad says. "Instead of bringing smaller 30-foot trucks, I bring long-haul 50-foot trucks. Or I bring two of those." A semi-truck rumbles down a stretch of I-90 near Spokane Valley, splashed with the Zaycon logo on the side. It doubles as both a way to move meat and as a moving advertising billboard. Zaycon has become its own trucking company. The company has had to design its own proprietary system to address the classic "traveling salesman" math problem — identifying the most efficient route between dozens of stops — and timing the truck's arrival to when customers are rolling into the parking lot to pick up their chicken. Conrad says he's learned the right type of person to hire to make the final leg of the journey and pass out boxes of chicken to customers. "We originally hired long-haul drivers, and it didn't work out," Conrad says. "Those guys — ha! — no offense to them, but they're not 'people' people." It's easier to hire charming employees and teach them to drive trucks than to hire truck drivers and teach them to be charming. Former Schwan's drivers, he says, make particularly good hires. One day, Conrad says keeping Zaycon growing may mean purchasing their own chicken farm. But for now, the limiting factor to making the company bigger is merely a matter of getting more trucks. "It's the stuff that's outside of our control. Getting the trucks," Conrad says. "They'll say they'll have them by February, and they don't get here by July. I'm ramping up, hiring people, getting set up." At this point for a startup like Zaycon, control is everything.